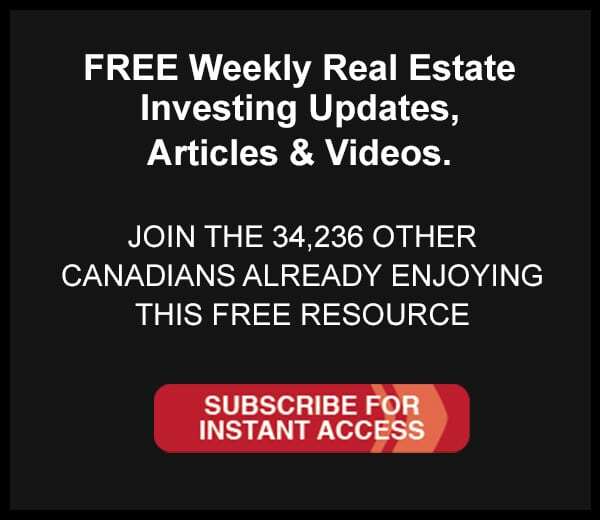 Todd has been an extremely valuable resource for Canadian real estate investors. He understands what investors need and is very insightful. Last week we had a chance to chat with Todd over lunch … he was in costume and everything! He shared a few tips for investors to consider in this video. As a real estate investor it’s important to know the basics. You need to have a long term goal for your real estate business. You must decide on some strategies. And you need to figure out what tactics to use. Having a blueprint for your business is key. But there’s something that’s often missed. Too many investors ignore anything outside the world of real estate. In the past we’ve shared how important it is to know how the economy works. How things like interest rates and inflation can monkey with you assets. Why it’s important to understand the impact of changes to banks overnight lending rates. And there’s something else you should know. You must know how currencies work. Well if you’re investing in Canada but plan to retire in Tuscany, Italy it’s a big deal. Let’s say you invest in some nice cash flowing Canadian real estate. It goes up in value 50% over 10 years. What if the Canadian dollar loses value against the Euro over that same time period. You think you’ve made 50% on your money and you’re planning to use that cash to help you buy that dream villa in Tuscany. But when you go to convert those Canadian loonies to fancy dancy Euros you realize that you’re losing out because the Canadian dollar has lost value against the Euro. You’re $170,000 Canadian dollars no longer gets you the $100,000 Euros. It only gets you $75,000 Euros. Not good news for your Tuscan getaway. So currency is a big deal. The example above isn’t any kind of forecast, just an example. And to be clear the Canadian dollar is likely in much better shape than the U.S. Dollar right now. But there are ways to make currency forecasts for yourself if you know what to look for. And we need to start at the beginning. It’s really important for you to know what some old guys did in 1944. We believe it’s impossible to have an understanding of how the economy works without knowing what these “gentleman” did in 1944. We Are All “Bit Players” in Your Show! There’s always money to be made. Sometimes it’s easy to make money … think Tech Stocks in 1999. Boy, that was fun, wasn’t it? And think the Real Estate market from 1999 to …. well, that party is still going in Canada isn’t it. And sometimes it’s harder to make money. Think the Real Estate market in Toronto from 1990 to 1994. And think the Stock Market from 2007 until 2010. This week Nick and I were in Downtown T.O. meeting with a really bright investment advisor. Young guy, but already experienced and smart, really smart. He knows his history better than his peers so when stocks were tanking in 2008 he was already looking at alternative investments. He focused in on quality Real Estate via Real Estate Investment Trusts (REITs) and he plays the bond market rather aggressively. Remember, there’s money to be made in any market. We almost had a heart attack. He understood that but it seemed he was implying that idea was big news to some of his colleagues. Some of you may know that we’re students of financial history because knowing what has happened in the past gives us insight and confidence in our decisions today. For example, in the late 1800’s there were canal bubbles and railroad bubbles. Before that George Washington had his own financial bubbles on his hands when gold money was being debased to fight wars. This week we wanted to share two charts that should be interesting to any savvy real estate investor. We speak with many investors who think interest rates below 5% are normal. They forget that in the early 1980’s you were paying 16.5% for a mortgage or higher. And if you had a mortgage renewal at that time you would be in for some serious pain. Can you imagine having signed a mortgage in 1978 for 7% and then 5 years later being faced with renewing it at more than double? Sheesh. If you were financially stretched at the time then getting a mortgage for more than double your initial rate would be disastrous. But wanna know something cool? My father-in-law locked up some GICs at 18% (yes, 18%) during that same time. Some people were suffering others were profiting. There’s money to be made in any market. 18% Guaranteed Investment Certificates? Are you kidding me? Where do we sign-up? The Bank of Canada recently raised rates three times this year. Is this the start of a massive string of rate hikes or a temporary blip? Media screaming of stalling real estate. Economists and politicians screaming of a stalling economy. Condo developers screaming of unprecedented demand. What the heck is going on? Tough call right? Well, let’s go further back in time. Don’t Avoid Vacancies, Deal With Them. Wow, do I ever look tired in this video. I guess the sleep patterns of a newborn are taking their toll a bit. One of the single biggest concerns we hear about from new investors is the fear of vacancies. But what they miss is the opportunity that vacancies present.